A small but hardy and dedicated band of SMD volunteers headed out to Irish Canyon to tend the parched restoration sites. The oaks were doing fine, the buckeyes are in hibernation mode. 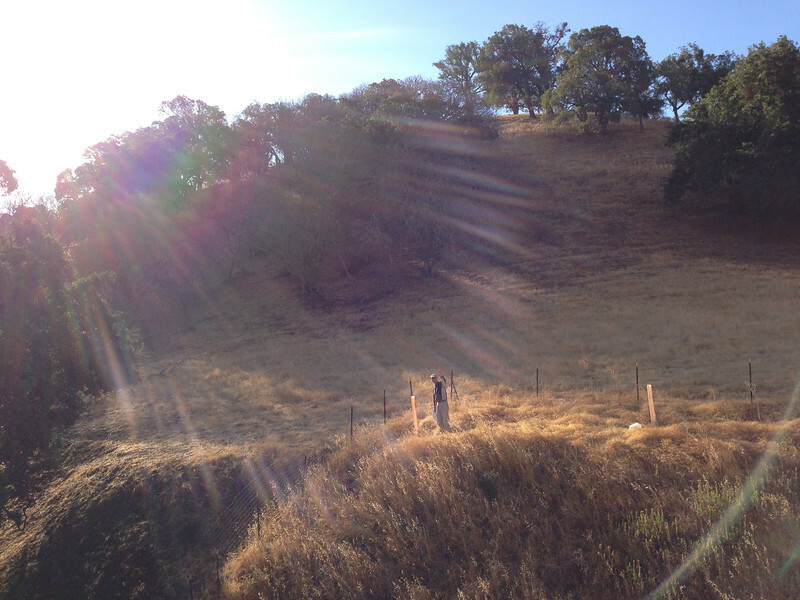 Rare solar flare appears illuminates Ken as he waters oak at east end of site 3, fenced restoration area.